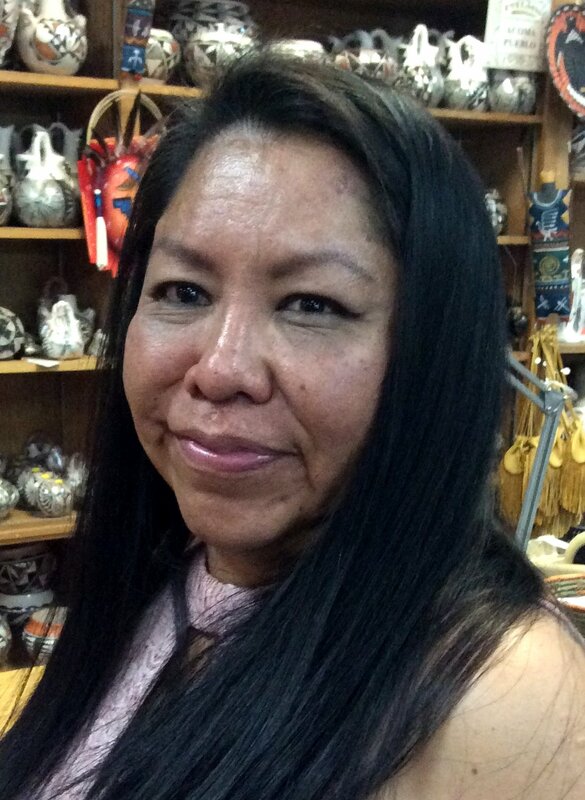 It is our pleasure to introduce you to a Hopi potter with a very recognizable last name steeped in Pueblo pottery tradition: Donna Navasie Robertson. Donna Navasie Robertson was born on July 24, 1972 to Marianne Navasie and Lewis Robertson and raised by her mother and step-father, Harrison Jim. Donna, the granddaughter of the famous potter Frog Woman (Joy Navasie), carries on an exemplary pottery tradition, with five generations of Navasie potters since the original Frog Woman. She prides herself on creating very thin-walled pottery, often compared to the thinness of egg shells, and signs her work with the recognizable frog symbol of her mother and grandmother, along with an added tadpole and her initials, DR.
Donna creates pottery in the traditional method her family taught her: first by digging clay, processing it, then hand-coiling a vessel and forming it by hand. 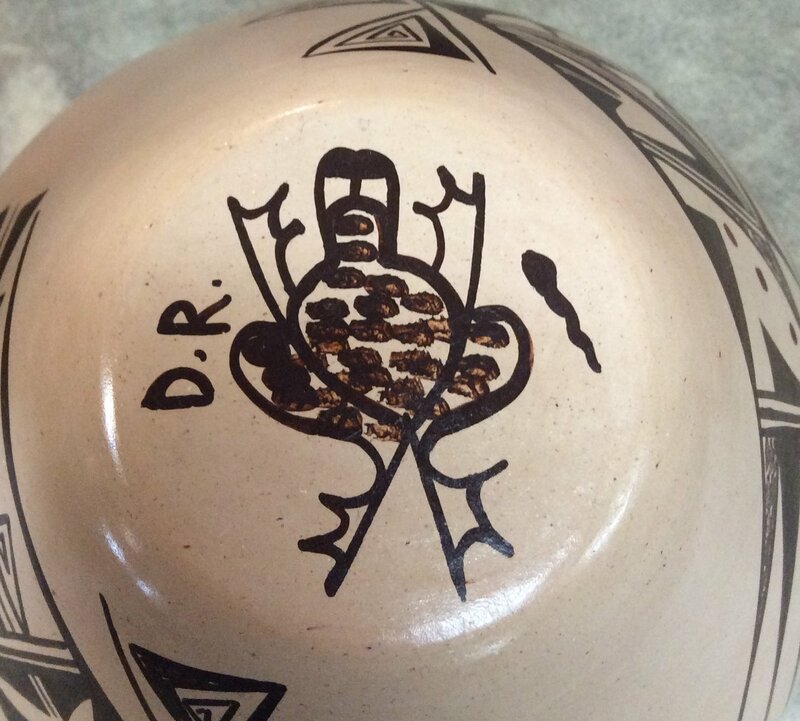 She then uses a river stone inherited from her mother to polish the pot before firing it outdoors. 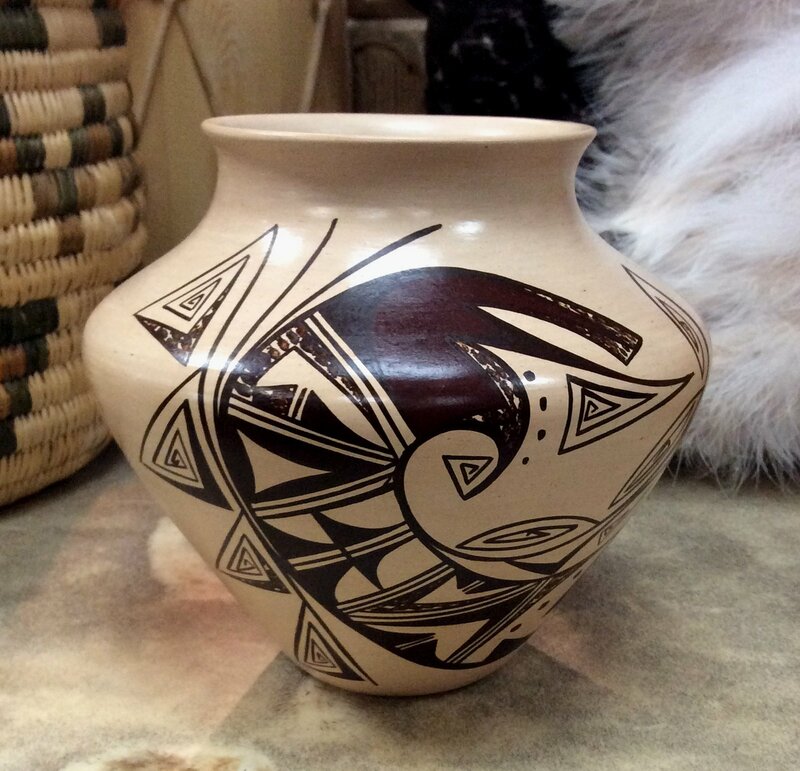 Donna also continues to use a yucca brush to paint natural beeweed pigment onto her pieces in intricate, traditional Hopi designs, and has taught her daughter, Tawney in these methods as well. We’ve been lucky enough to work with Donna for 13 years, and hope to continue working with her well into the future.